My windows is completely up to date. Obviously something to rule out but honestly, the jitter/performance issues ONLY happen when using the wirelss system, so I don't see how a windows update would cause it. My CPU performance is only at 30%, same with my GPU. And I'm only using 5% of physical memory. I should also note, I never go above 3ms @ 90hz and I don't show any dropped frames. I've been unable to resolve the issue through any means I've tried on my end. Has anyone had any luck? I sent a message to Synthesis but haven't got a response, and at this point I can only assume it's defective and I need to process an RMA, because nothing points to it being an issue with my PC setup, and the vive works flawlessly on a wired connection. I'm just amazed that they don't even seem to have a debugging tool publicly available to try to see where the failure is occuring. The wireless quality is so terrible that I can hardly even play beat saber with it, and that is not a resource hungry game. The blocks are so pixelated I can barely tell the direction of the arrows, and the headset even just went completely black on me for 10 seconds in the middle of a map. Edit: Also probably worth noting that this issue exists with the PCI-E card in both a 1x and 4x slot. Currently it's in a 4x because that's the slot I moved it to in an early attempt to resolve the issue, but it had no effect whatsoever, and I have to move my GPU to a different slot to put it back into the 1x so I just left it in the 4x. Seems like I have same issue. Don't look on changing colors, I am about trembling pixels. The image looks ok for a second and then become pixel-like and back to ok and this happens constantly without stopping. My windows is up-to-date, same as all drivers. My CPU never goes higher that 35%. I see these trembling everywhere - in white scene, in vr settings, in every game I tried. I tried changing Connection Mode. No changes. I have a rounter near PC. I tried to disable it and all wireless devices in my home. No changes. I tried set manually resolution in Vive settings. No changes. Does anyone tried to replace the device? Did it solve the issue? UPDATE: I tried it on my husband's PC. First it wasn't able to find chip. After moving it in another PCI port, it works with no issue. I tried another PCI port in my PC, and issue disappier. UPDATE: Actually I was wrong. It was fine for a while but the issue returned. Yeah that video is exactly what I'm getting. Happens everywhere, even in menus, even affects the chaperone bounds like OP stated. I have noticed that when you reset effectively everything, you'll very briefly have a stable connection, but after no more than a minute or two, the issue comes back, as if something is building up and causing a bottleneck. Also, I did update my windows with no change. So I'm wondering is the problem is the unit and just get a new one or if it's likly something compability wise like my mobo or the software itself that could be fixed later. 1060 gtx is min. Spec they will say. Im on 980ti got 20 mins play arizona sunshine. Little compressed pixels. But not bad. So maybe its the card ?? Your 970 ? I finally found this thread! I am having same issue. I just wrote a new thread about problems with the wireless adapter. My Vive wireless has 4 bars. I just wanted to add that I am having the same performance issues everyone else is having. The image looks super pixelated all the time and cuts out often. My CPU usage is usually above 90% and my GPU is usually sub 50%. I would think it would be lower consider what other users are getting. This is getting quite frustrating and I am not sure what to do. I was planning on bringing this to an event and I hope that I can get it fixed soon. I've tried moving PCI-E slots, shutting down all background programs, lowering supersampling, tried different channels. To no avail. I would think I would be getting a better experience with hardware that meets the requirements. I just did some quick testing and it appears that my CPU usage almost DOUBLES by just using the Wireless adapter. Is this expected, does it need to use that much? It appears that my GPU is not affected by the wireless adapter. These are my result sitting around in the Steam VR Home. As you can see the GPU doesn't seem to have much of an effect. What is the story from here? Is this expecting to be fixed by a software update or is more powerful hardware needed? My specs more than meet the minimum requirements. I feel like this needs to be addressed soon before a lot of returns start happening. I know if it doesn't I will be returning mine soon. Same problem here. I received it yesterday and after installing it, I started having the same issues described above. I have had no problems in the past when it was wired, everything was smoothly, but since I installed the WiGig it becomes unplayable. 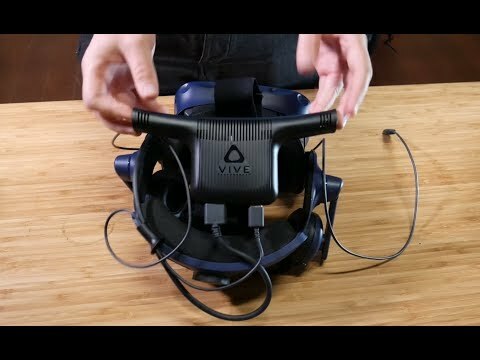 With loss and coming back of resolution, and like loss of frames, even when you are in Steam VR Home and activate the Desktop: if you move your head a little bit, the movement is not fluid, causing dizziness. I belive the HTC team is working hard to find a resolution for this issue. I do not want to return this accessory. I was waiting to have this HMD wireless and play smoothly, like I have been doing wired. I to just installed my new wireless adapter to receive nothing but problems with choppy and poor graphics quality. I am running a GTX1080ti in my primary PCI-E 16 slot, i tried plugging the WiGig card into my secondary PCI-E 1 slot as my main PCI-E 1 slot is covered by the graphics card (as i expect most peoples are these days who do not have a water cooled GFX card) but the wireless software would not even confirm it was plugged in. So, i moved my graphics card down so i had access to my primary PCI-E 1 slot, now the wireless software confirms all is good, i checked my Vive, everything was working, but, the image quality was terrible & choppy. I have since tried myltiple variations with my system, but i have got to ask a really stupid question, How is this WiGig card getting its graphical data from my graphics card since its not plugged directly into the graphics card itself? My faith in wireless VR is running thin, did i just waste £300 on a dream. Hello Guys, one thing that is known for this technology is that the signal is really susceptible... Does the transmitter has a clear line of sight on your receiver (On your head) ? Are you 100% sure that the transmitter is well connected to the pcie card ? Did you try unplugging it and plugging it back ? PCIE Lane are sometime used by dumb process that we don't use ... depending on which motherboard/chipset you have it might be the case. Go in your motherboard and make sure to disable everything you don't use. If you use M2 SSD for example often they use the PCIE lane of your motherboard ... which is really annoying. Most regular motherboard/chipset only support 16 PCIE lane ... so that mean when you put 1 PCIE GPU like a 1080TI it will use X16 and if you add other stuff your motherboard might get cranky a bit ... Some will switch to X8/X8 mode ... or X8/X4/X4 mode ... but disabling all the useless stuff that are using lane will help the stability of the system. So in my case I don't need the HD audio for example because I have USB headphone ... that's just an example. There's other new thing that came out with the latest windows update ... like task priority for drive access... you might need to start the game and change the task priority to high to help with the choppiness. Me and my friend tested the adapter after installing it pretty much live on our youtube channel ... It worked perfectly with the 1080TI inside the 2nd PCIE X4. It uses DisplayLink technology to basically pull data from the GPU's frame buffer and transmit it over the wireless which, I believe, is encoding a virtual USB connection. Your GPU is still doing the rendering, it's just sending it through the PCI Bus to the WiGig instead of out the HDMI/DP ports.